Carlson Takeoff is a cut/fill volumes and data prep (for layout or machine control) solution that can estimate jobs using paper plan digitizing, PDFs, or electronic CAD files. 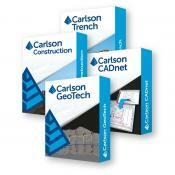 It is available in two configurations--Takeoff OEM (comes with AutoCAD engine built-in) and the Takeoff Suite, comprised of Carlson Construction, CADnet, Trench, and GeoTech (see following). 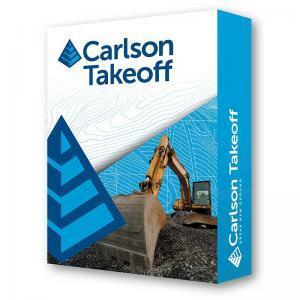 Carlson Takeoff is the only estimating software that works in the .dwg environment natively, which gives its users a distinct “CAD Advantage” when estimating from an engineer’s electronic files. The Takeoff OEM has all of the same ingredients as the Takeoff Suite, which works on AutoCAD sold separately, or with IntelliCAD built-in. The Takeoff Suite’s four modules are all fully integrated with Carlson Civil and Hydrology to meet the variety of customers’ needs.